When you think of the most popular destinations for business travel, what comes to mind? New York, London and Hong Kong are likely contenders. However, Booking.com, the global leader in connecting business travellers with the widest choice of incredible places to stay, has unearthed some of the fastest growing international business destinations. And with 44% of Canadians having recently reported in a Booking.com survey that they would like to try an international work placement, we have a few great ideas for where to set your professional sights. So, what is pushing Berlin, Amsterdam and Kuala Lumpur to the top of the list and how can business travellers make the most of their accommodation and time in these cities? With an estimated 2,400 active tech start-ups, Berlin is rapidly becoming an entrepreneurial hub with a worldwide reputation for innovation. Surrounded by art, film and design, businesses are allured by the city’s relatively low cost of living and outward-thinking visions of global trade. Notable startups that are thriving here include the music streaming service SoundCloud and multi-service fashion platform Zalando. 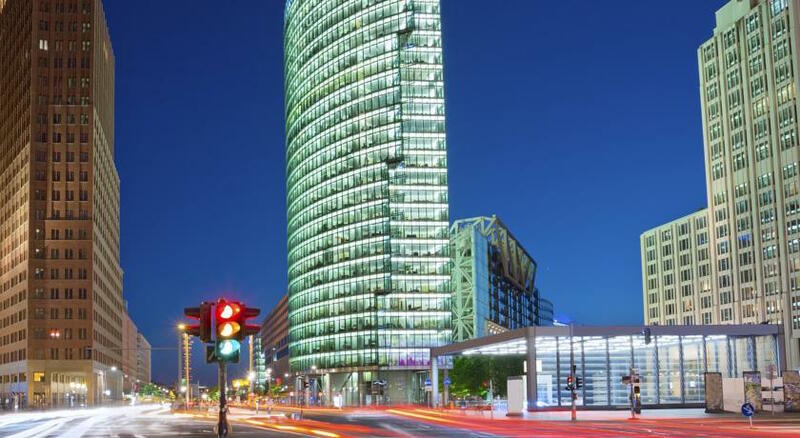 Tech giants such as Amazon, Microsoft, and Google, as well as Lufthansa, also have European headquarters or regional offices in the city, creating thousands of jobs and luring many business visitors. Prominent annual tech festivals such as Tech Open Air, Disrupt Berlin and hub.berlin also attract thousands of business travellers to the German capital each year. Where to stay: Berlin has a relatively affordable and efficient public transportation system, so business travellers can access a variety of accommodation options across the city’s diverse neighbourhoods. If you are looking to stay centrally, the 5-star Mandala Hotel offers studios and suites in Mitte, a popular area for visitors. The boutique-style hotel, which features spaciously designed rooms complete with kitchenettes, is minutes from the Potsdamer Platz Station and only a 10-minute walk to Berlin’s infamous neoclassical landmark and symbol, Brandenburg Gate. The neighborhood of Mitte is also home to some exquisite eateries. 27% of Canadians are more inclined to book an accommodation if it’s near a bar or restaurant such as the Rutz restaurant. With two locations in Mitte, this stylish hot spot is perfect for regrouping with colleagues once the working day is over. Built on commerce during the Dutch Golden Age of the 17th century, Amsterdam is a flourishing tech, IT and finance hub. 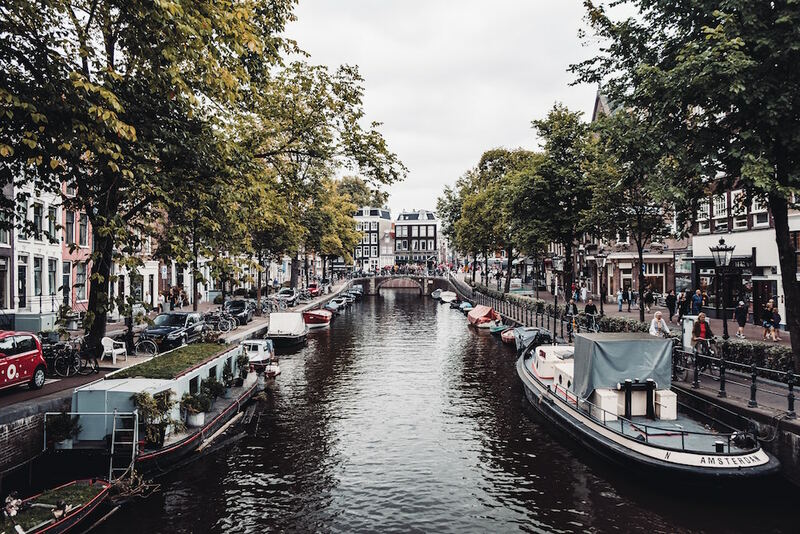 With excellent travel infrastructure and a corporate culture that encourages entrepreneurs to turn their ideas into flourishing businesses, international business in Amsterdam is booming. Uber, Netflix and Tesla use the city as their European headquarters, whilst 50 international banks including RBS, Citibank and Deutsche Bank can also be found here. It also has one of Europe’s busiest convention centres, RAI Amsterdam, which hosts many international trade fairs, exhibitions, congresses and sporting events, including IBC2018 – one of the world’s most influential media, entertainment and technology shows which attracts 57,000 attendees to the city each year. Where to stay: According to recent Booking.com research, 23% of Canadians prefer stylish interior design when it comes to booking accommodations. 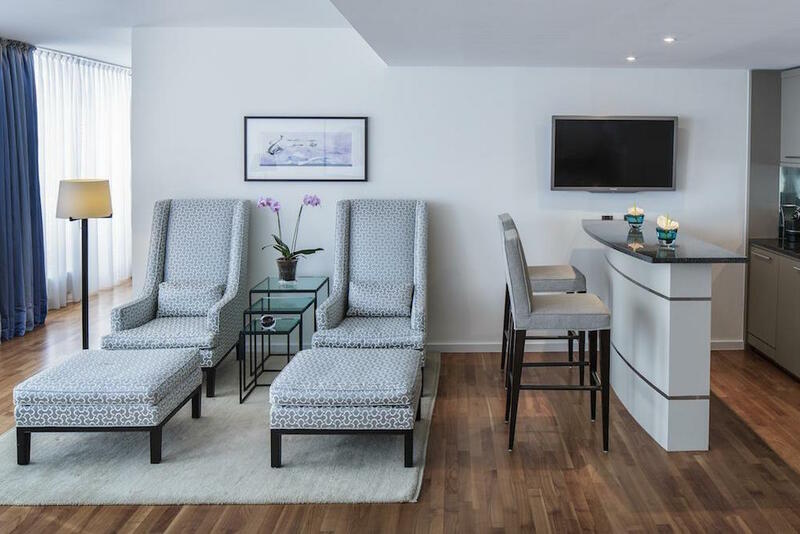 With that in mind, Amsterdam Canal Suites offers comfortable, modern apartments with open-plan kitchens and living areas, within 17th century premises. Enjoy walking to your business meetings along the Amstel River, past the historic gabled houses. Get ready to snap some selfies on one of the many bridges offering picture-perfect backdrops and make your colleagues at home jealous! 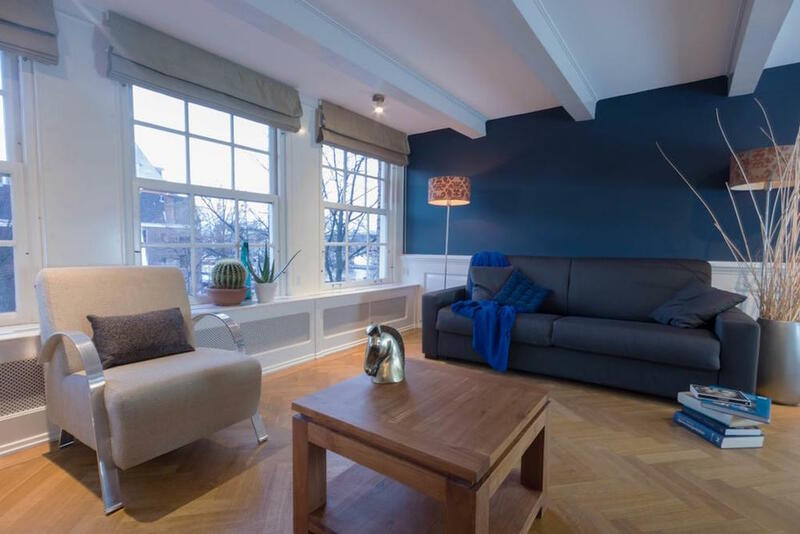 The exclusive apartments are one block away from the lively shopping street Utrechtsestraat, with numerous cafes and restaurants lining the streets to wine and dine clients. 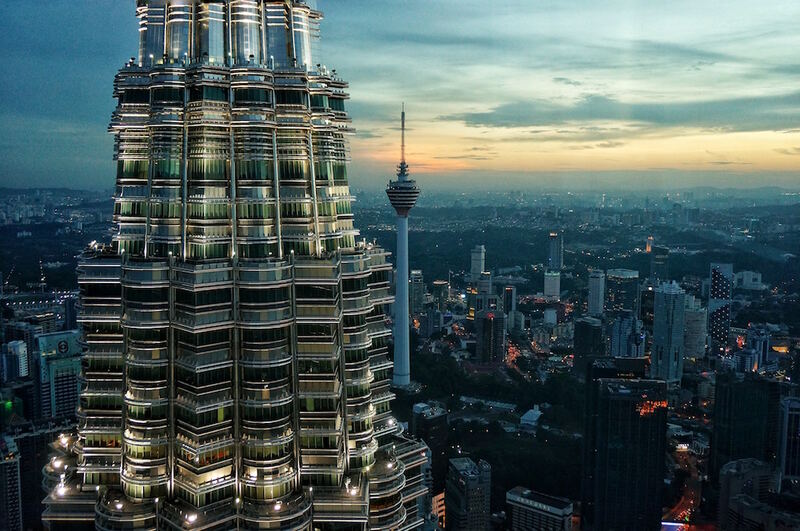 Located centrally within Southeast Asia, Kuala Lumpur is the cultural, economic and financial epicenter of Malaysia. Home to Petronas, the national oil and gas giant which is based at the city’s iconic 88-storey Twin Towers, Kuala Lumpur also features a massive presence from international oil companies such as Shell and ExxonMobil. Multinationals IBM, Panasonic and GlaxoSmithKline have also made use of the city’s world-class infrastructure by setting up regional bases there. In recent years, conference and convention tourism has expanded as business delegates from India, China and the Middle East take advantage of the city’s strategic location on their trade routes. The Kuala Lumpur Convention Centre, for instance, offers over 22,000 square-meters of exhibition halls, conference theatres and meeting room facilities for business delegations. 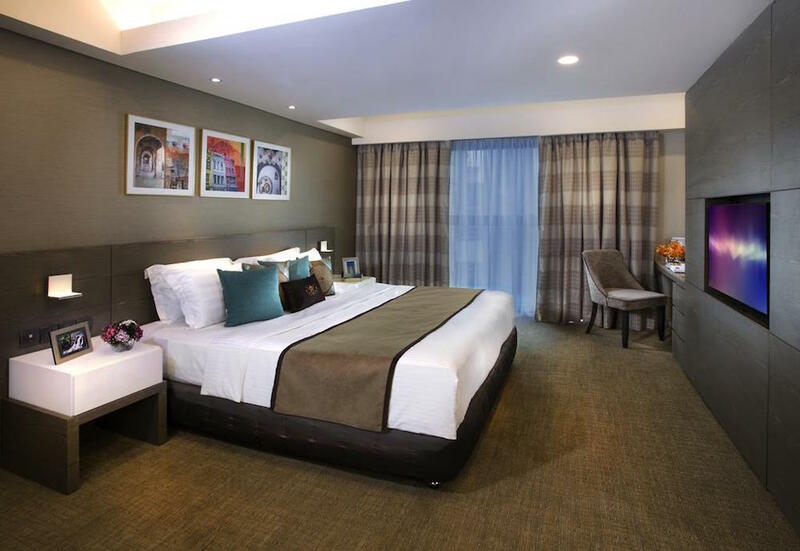 Where to stay: Situated within Kuala Lumpur Sentral, the city’s second Central Business District, Ascott Sentral Kuala Lumpur offers contemporary apartments conveniently located less than 700 yards from Sentral railway station, meaning you can get from Kuala Lumpur International Airport to the hotel in just over half an hour. Almost half (49%) of Canadian travellers consider balconies to check out the view key, which won’t be a problem when staying at the Ascott. Wake up to beautiful views of the city while sipping your morning coffee on your very own private balcony. Swim a few laps in the building’s outdoor swimming pool before tucking in to the daily continental breakfast on offer to fuel the work day. NU Sentral Shopping Centre, a major retail hub in the city, is less than five minutes’ walk away, meaning you can pick up souvenirs for family and friends before you catch your flight home.